Greg Stockton, who joined Cape Town, South Africa-based Carrick Wealth Management in July, has been named to head up all of the company’s international offices, located in three African countries as well as the island of Mauritius, following his promotion to the firm’s board. Stockton, who like Carrick Wealth founder and chief executive Craig Featherby came to the business from the deVere Group’s African operations, was seen as the ideal candidate to help to Featherby realise his vision for the company’s pan-African expansion, a company spokesperson said. As reported here last August, Zimbabwe-born Featherby has said that he is looking for Carrick Wealth to be in as many as 12 more countries on the African continent by 2020. At that point, Carrick Wealth consisted of six offices, three of which were in South Africa, the other three being in Harare, Zimbabwe; Port Louis Mauritius; and Gaborone, Botswana. At present the company is in the final stages of preparing to open an office in Blantyre in the East African country of Malawi, which it says could be open by the end of this month. An eighth office is planned for Nairobi, Kenya, but no date for an opening in that country has yet been set, according to the company. In a statement accompanying the announcement of Stockton’s appointment to the board, and his expanded role in running the company, Featherby noted that Stockton had experience developing, nurturing and managing advisers across numerous offices and countries. Featherby added that Stockton had brought to Carrick “a wealth of experience, an infectious passion, an embracing enthusiasm, and an inspirational innovative approach”. 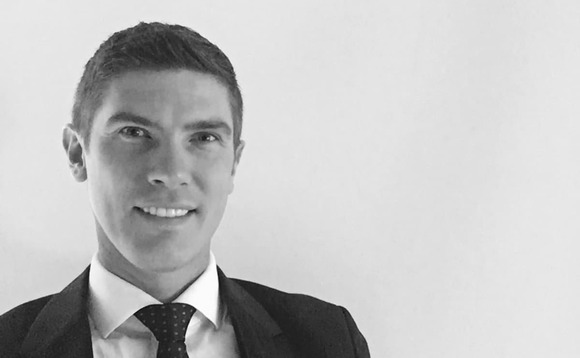 Stockton, who is originally from the UK, entered the financial services industry in 2003 in a business development role, and has worked in such markets as Hong Kong, Shanghai, Tokyo, Qatar, Dubai and South Africa, according to Carrick Wealth. He arrived in Cape Town in 2014.